[TUTORIAL] How to add custom breeds to BarracudaATA's Dragon Mounts Mod! I had some people over in another thread show some interest in a tutorial on how to add custom breeds and textures in BarracudaATA’s Dragon Mounts Mod, so without further ado, here is the lazy man’s* method on how to add these to the mod! NOTE: I have absolutely 0% Mac/Linux experience, all of this is in Windows 7. As well, this is for the 1.7.10 r41 version of the mod. Refer to this guide here to install it properly. This program will be used to edit the appropriate files. Just pick the correct version for your OS (32/64 bit Windows, OS X or Linux) and after it has finished downloading, move the .zip to your desktop, right click>properties>unblock and then extract the files. Grab the latest version of the src, nothing else is need from this site. Again, move to desktop>right click>properties>unblock then extract. Grab the Source code (zip). No need to extract this one but you will still want to unblock it. Windows "blocks" any files that you download (for the reason that it "came from another computer") as a built-in "safety measure" and leaving them blocked can potentially affect the files upon extraction. Once you have all of this, we can move on. In addition, you can change the "addHabitatBlock" lines to the block(s) of your choice. Look up the block(s) you want to use on the Minecraft Wiki to find the Minecraft names for them. How these lines work is when the growing process is started the game will use the surrounding blocks (a minimum of two) to determine the breed. This can be used to avoid custom breeds being unobtainable without commands or make them obtainable only with commands (special feature for server admins/OPs maybe?). Save this, and you are done with the actual breed file! You can add as many as you like. Now choose a folder and drag it to your desktop. There are four 256x256 .png images named “body”, “egg”, “glow” and “saddle”. They must all be present for the new breed to render the texture properly (except for “egg”, if it's not present it will use the default enderdragon texture). So, for example, if you didn’t want it to show the saddle, edit it to be blank (not a solid color, but clear) and leave it in the folder. I use GIMP for all my editing. After you have finished editing the texture, rename the folder to match your breed. The folder name must match the second name provided in the breed file we edited earlier (super("stryker", "stryker", 0xab39be); or otherwise) or it won’t work. Drag and drop it into the “dragon” folder and confirm when prompted. Hit save all (Ctrl+Shift+S) and we are done...with this part. 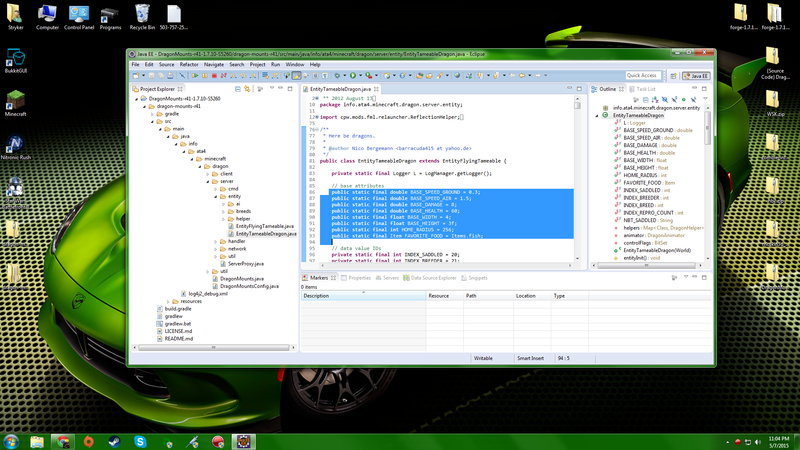 Next, we will export and compile the mod! There will probably already be a “java” and “resources” folder there, go ahead and delete those. 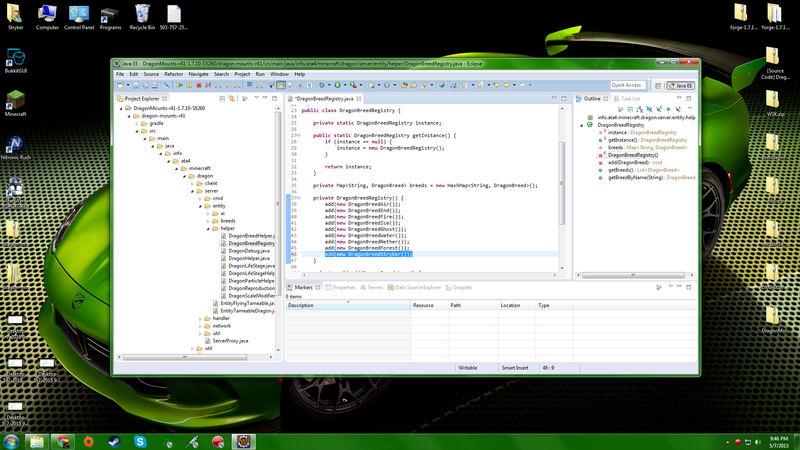 Then drag and drop your “java” and “resources” folders into the “main” folder. We're close, but not done yet! We now need to set up Forge so it names the file properly. Go back to the main Forge folder and you will see a file named “build.gradle”. Double-click it and if/when prompted, open it with notepad or WordPad (I prefer WordPad as it doesn’t mess up the way the formatting is displayed). The only things we need to edit are the lines “version” and “archivesBaseName”. The “archivesBaseName” line gives the .jar file it’s overall name when it’s generated and the version is displayed at the end of the name. In my case, DragonMounts-r41-1.7.10 is the name and S5260 is the version. 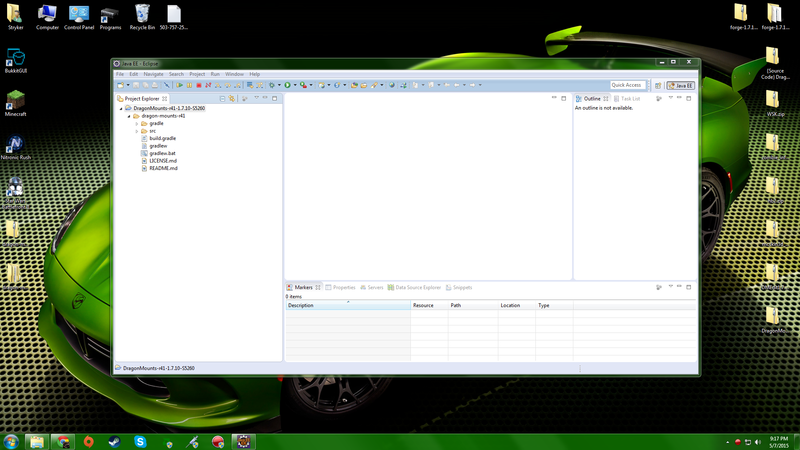 After making these changes, hit save and exit WordPad/notepad. We can now compile the code! In the main Forge folder, hold shift and right click inside the folder and select “Open command window here”. Now go to the folder “libs” which is in the folder “build” and the mod .jar file should be there. Congrats, you are done! Simply throw it in your Forge mods folder in your .minecraft and have fun!!! Happy with the mod as is and just want custom textures without all the hassle? 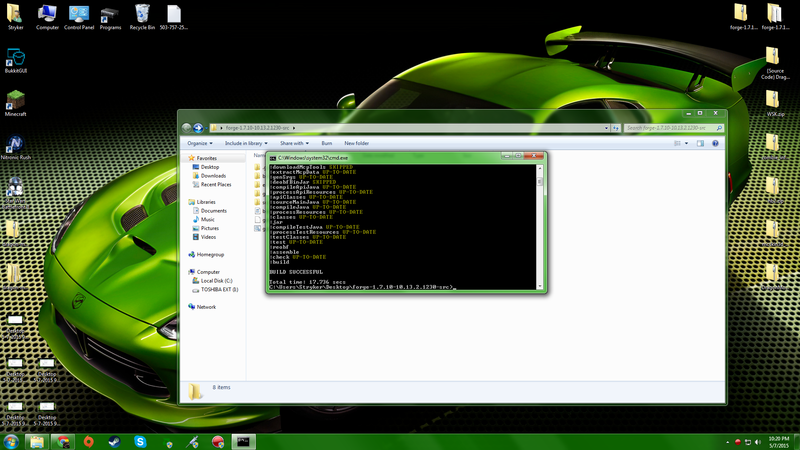 Simply use WinRAR to open the texture folder in the .jar and copy them to your desktop where you can edit them! Just call me "Stryker", no need to be formal. This program will be used to edit the appropriate files. Just pick the correct version for your OS (32/64 bit Windows, OS X or Linux) and after it has finished downloading, move the .zip to your desktop, right click and extract. Grab the latest version of the src, nothing else is need from this site. Again, move to desktop>right click>extract. Grab the Source code (zip). No need to extract this one. I am rather crazy about dragons in general, so I'm really excited to try this mod out. I found the main page, and obviously I found the link to this tutorial. First of all, thank you so much. This is amazing and super helpful. Seriously. I mean it. Second of all, do you know if there is a way to get it to work on version 8.x? Currently the latest download says 7.10, and from past experience most of the 7.10 versions of mods don't work anymore. Last of all, how can we make more adjustments to our dragons (more than just the immunities to fire, lava, magic, etc)? If you don't know, do you know where I can go to look for that information? For example, I want to add that the fire dragons have a chance to set enemies on fire when they attack. I would also love to give forest dragons a small heal spell that would trigger if the player falls below a certain health. I would also like to change the speeds, and perhaps give water dragons the ability to actually swim. A stretch goal would be creating some item or interface to command the dragon to use an ability on the block you've right-clicked on, such as the nether dragon spawning a block of lava there, or a forest dragon using a bone meal effect on that block. Any advice you can give on any of these fronts? 1. Why do you change it on the server but not on client? Do you have to change it on both or just one of them? 2. How can you change how to get the egg to hatch into your new custom breed? For example, the Fire dragons need some kind of lava/fire near them, the Forest dragons need some plantlife nearby... How do I tell the game what I want the conditions to be for hatching that dragon? 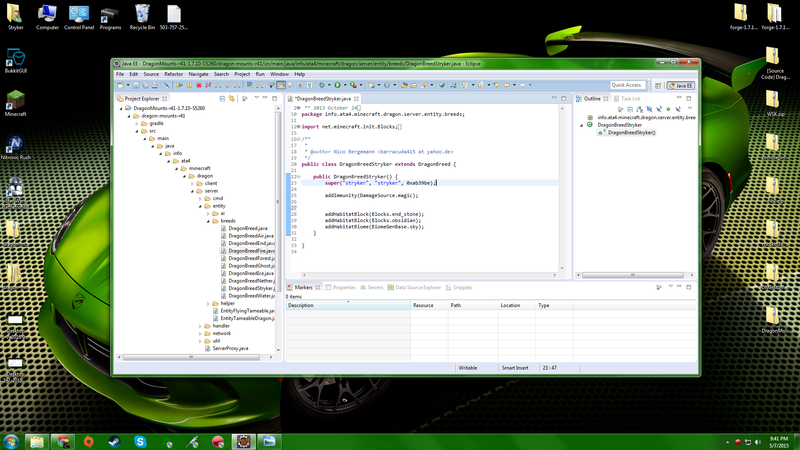 I'd love some more specific instructions on how to set up the project in Eclipse. There's a lot of variables and options when setting up the project and i wasn't quite sure what to do. 2. It's currently being ported to 1.8 by the developer, no idea on an ETA but it's in the works. So far aside from some minor bugs (the mod is still a WIP) it works well in 1.7.10. 3. Most of that (except for the speed thing) are out of my league in terms of my coding knowledge. I would try to find a (much) more experienced coder for those questions. The speed (ground works, not sure about in air), health, damage the dragon deals and hitboxes (maybe?) can all be adjusted in the "EntityTameableDragon" file. 1a. You only have to edit in the server folder. I haven't looked at the files for a bit, but from what I remember there actually wasn't anything related to this in the client folders, just render commands. I'll check when I can and edit this post for confirmation. 2a. In the individual breed file there are the "AddHabitatBlock" and "AddHabitatBiome" lines. I didn't mess with/experiment with these as I had already botched the final product a few times and didn't want to redo it any more times than I wanted to. I would assume you would replace the existing blocks/biome with the desired ones, although I'm not sure if any other files would need to be edited for this. As long as you have the linked version, it's the option that simply says "Project", nothing else. I believe it just creates a folder in the Eclipse directory to import the other files to. Here's another, this time by right-clicking a dragon egg to start the hatching process. framebuffer objects because OpenGL 3.0 is supported and separate blending is supported. Tis a Dragon at Heart. Were you using the normal un-edited version with no problems before? I would try a fresh compile from un-edited source code to make sure it's not the edits. And I did have to redo my personal version and (I at least) didn't run into any issues with the blocks and biomes conflicting. Usually if something isn't right it won't actually compile to a .jar file. And what mod are you using for a dragon spawn egg? No problem! Worst that will happen is it won't compile, and the command window will say what went wrong. Thx, I figured it out. The default dragon in one of the files was still set to "end" while I had changed the the other parts like the registry and breed class to "ender." Next to tackle is creating a new AI for the dragons so they'll roam around by flying when untamed. If you can create an AI for a flying dragon, I'd really be interested in how you do it. 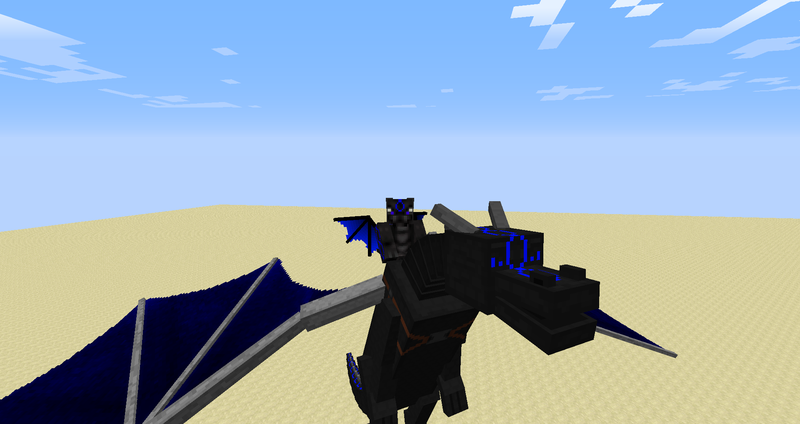 I've tried to do the same thing for some dragons in my mod, but found the existing AI in Minecraft to be completely incompatible with any kind of flying an entity might do. Ah, same thing I did quite a few times, happens a lot when I rush to get something done lol. Good to hear you got it and good luck with the AI. If you get anything figured out let me know. I think I had done everything right, but up to where I actually played the mod, it was broken. I have a save with everything, of course, but something's up. The dragons already existing disappeared. Rolling back to the save (and using your version) worked fine. Sounds exactly like an issue I had before...that frankly I forget how I fixed:/ The one thing I forgot to add to the main post that could be the issue is that you need to make sure all the files are unblocked after downloading. Right click the file(s)>properties>unblock (make sure to do this to the main .zip archive before extraction so it unblocks all the files inside). Then back up any custom textures and start with fresh, unblocked Forge and source code. The blocking is something Windows does by default as a "safety measure" and in some instances can affect the files when they are extracted. It might also be why it's not saving the name that you had input. i'll give it a shot tomorrow. all of the custom stuff is saved elsewhere already, but i'll double check. I'll let you know how it goes, and with hopes it'll work. >Cannot find System Java Compiler. Ensure that you have installed a JDK (not just a JRE) and configured your JAVA_HOME system variable to point to the according directory. Yeah... This appeared when it tried to compile. Thanks for the info, added it to the main post. Also, is it possible to have have two breeds of dragon eggs hatch (become one breed or the other) under the same conditions but have the resulting breed be a random selection of the two? I seem to have hit a snag. There isn't a build.gradle file. What should I do? I had set up one of my builds like that and didn't seem to get a randomized result. I think it would have to be coded to be a random selection, maybe with some sort of rarity percentage? Kind of like how shiny Pokemon are so rare but most times found in the same area as their normal counterparts. Grab a fresh copy of the Forge environment and make sure you're unblocking the file before extracting it. If it's still not there, try a different version. When it comes to compiling mods it doesn't really matter what revision the Forge environment is as long as it's fairly recent. I think I'm using either 1230 or 1291 for 1.7.10 stuff.